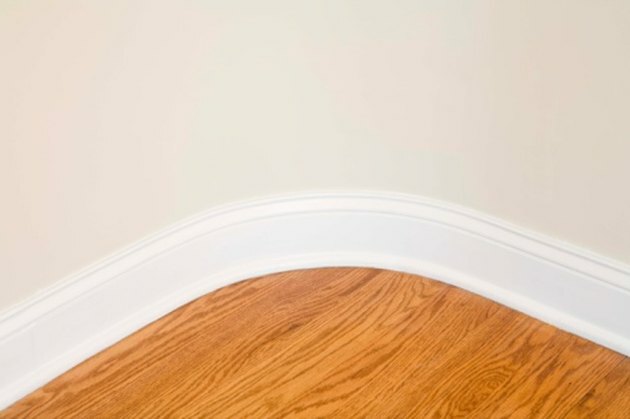 Wood is a common choice for baseboard moldings, however, other materials are available and frequently selected based on the requirements of specific projects. When selecting a material, things to be considered include the shape of walls and floors to which the molding is being attached, the desired style and color and durability. Baseboard molding are manufactured in a variety of materials. Wood composites or engineered woods like medium density fiberboard (MDF) are typically lighter than regular wood, easy to cut and install with and have a smooth, consistent finish. They also absorb paint easily, however, staining is not recommended. Plastic's flexibility makes it a popular choice where walls are uneven or rounded. Additionally, its resistance to moisture makes it ideal for bathrooms or other areas where baseboard molding may come into contact with water. Plastic moldings are either nailed or glued into place. 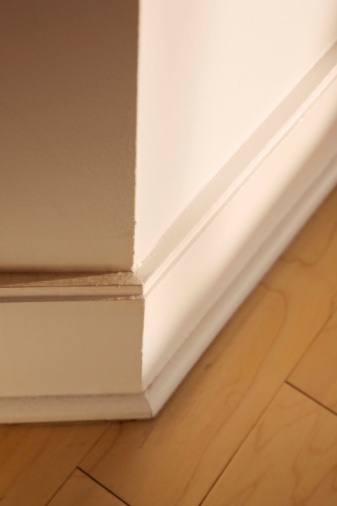 Commonly used in offices and commercial spaces, vinyl baseboard molding is also flexible. Additionally, it is easy to install, durable and washable. It is not commonly manufactured in as many shapes and varieties as wood and other materials, however. Rubber baseboard molding offers the flexibility of plastic and is manufactured in a variety of shapes, sizes and colors, including faux wood, metal and stone. Rubber's durability makes it a popular choice for high-traffic areas. Cured polyurethane products are noted for their environmental friendliness. They are also flexible, durable and resistant to mold and insects. Cured polyurethane is cut with a saw, installed similarly to wood trim and accepts water-based paint. 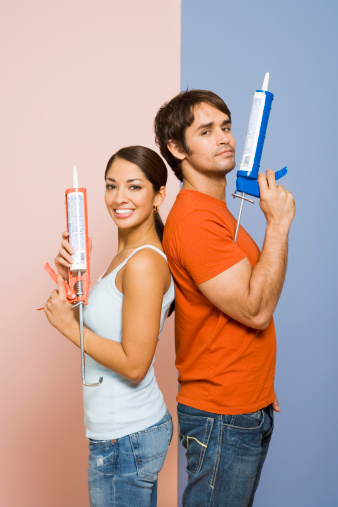 What Type of Caulk Adheres Best to Plastic?